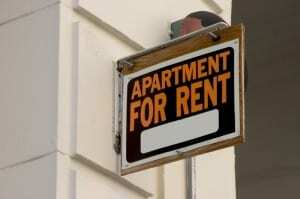 Landlords in Winona, Minnesota recently suffered a defeat when the state’s Court of Appeals upheld a local ordinance that places a moratorium on the number of rentals allowed. The decision could have an impact on other landlords in the state and across the country, as other local lawmakers consider adopting similar laws. Property owners in Winona had argued that the ordinance, which caps rentals at 30% per city block, infringes on their right to do what they want with their real estate. Under the law, licenses are doled out on a first-come, first-served basis. The ACLU-MN joined in the argument that limiting the ability of a property owner to rent is unconstitutional and violates the equal protection clause because it treats similarly situated Winona homeowners differently — homeowners whose properties are on blocks that have reached the 30% threshold are unable to rent out their homes while homeowners on blocks that have not yet reached the 30% threshold may obtain a rental license and rent out their homes. The case was prosecuted by the Institute for Justice on behalf of a number of local homeowners including include those who are unable to convert their property into rental housing because of the ordinance. A lower court had upheld the ordinance. It is not yet known if the landlords will appeal. Defenders say the law is justified because rental housing was reaching 40%, which they say created a negative impact on the community. Opponents have said the measure was prompted by complaints from residents over off-campus student housing.